Obituary for Roseleen Margaret Collier | W. J. Dooley Funeral Service Ltd. It is with deep sadness we announce the passing of our beloved mother, grandmother, great grandmother and sister, Roseleen “Rosie” Collier, age 78, on Thursday, July 12, 2018, at the Cape Breton Regional Hospital, Sydney, surrounded by her loving family. Born in Great Jervis, NL on October 11, 1939, she was the daughter of the late Lawrence and Lucy Long. Roseleen was a devoted wife, mother and grandmother who enjoyed spending time with her family. She was a longtime volunteer with the Northside Community Guest Home and an active member of the North Sydney Seniors and Pensioners Club. Roseleen is survived by her children, Lucy, Maxine, Lawrence, Belinda (Gerard Hartigan), Thomas (Martha); by her eight grandchildren, Charmaine, Chris, Sasha (Troy), Laurie (Jamie), Billy, Jacqueline, Aubrey, Nathan, six great grandchildren, Bree, Brody, Ashten, Lauren, Shaelyn, Riley; six sisters, Mary (Alex) Campbell, Phyllis (Steven) Clarke, Carrie (Tom) Boutilier, Christine (Melvin) Devoe, Betty (Sheldon) Burton, Louise (Al) Donnelly; eight brothers, Lawrence (Judy), Garf (Louise), George (Elaine), Gerald (Sharon), Simon (Mary), Bernie (Cecilia), Paul (Glenda), Kenny (Susan), many nieces and nephews and her special friend Gordon. Besides her parents she was predeceased by her husband Thomas (1992), her sister Mabel, brother Eric, twin grandsons, Jackson and James and a nephew Chad. The family would like to thank the Palliative Care team, VON, Homecare and all her family and friends for all the support and phone calls. There will be no visitation by request. 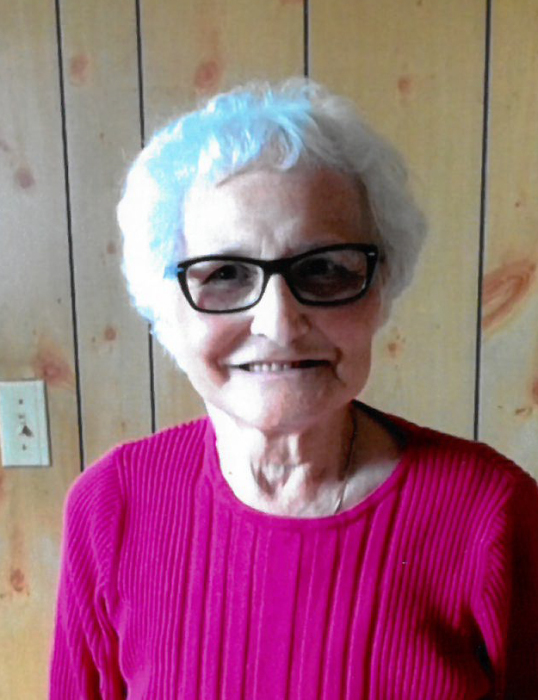 A funeral mass for Roseleen will be held at 10:00 a.m. Saturday, at St. Joseph Church, North Sydney with Rev. Doug MacDonald officiating. Burial will follow in Holy Cross Cemetery, North Sydney. Funeral arrangements have been entrusted to W.J. Dooley Funeral Home, 107 Pleasant Street, North Sydney. Memorial donations may be made to the Cape Breton Cancer Society. Online condolences may be sent to the family at www.wjdooley.com.